In February, the CMS Innovation Center released a funding notice for state health agencies to build and implement an Integrated Care for Kids Model. 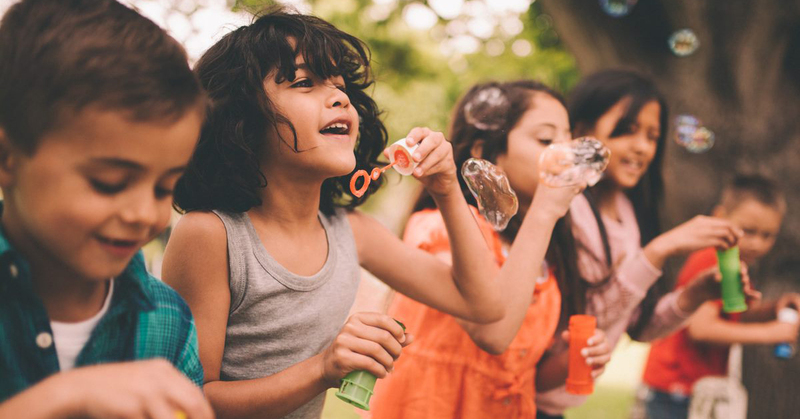 The seven-year grant vehicle, aimed at addressing physical, behavioral, and social determinants of health, has the potential to markedly improve health outcomes for children and adolescents while lowering costs. The success of the model will depend on the ability of states and their partners to develop innovative approaches to care delivery that leverage advanced data analytics, alternative payment mechanisms, and integration strategies across the system. InCK will be implemented in up to eight states. While there is no formula that will work for every state—each is unique and methods must be customized to fit the population and the existing landscape of clinical, behavioral health, social, and other services—there are clear approaches that should be brought to bear when building a new model. First, a comprehensive analytics strategy is needed to realize the potential benefits of integrated care models like InCK. By developing appropriate financial and clinical quality measures, states can identify the best opportunities to deliver care more efficiently and effectively, measure the model’s potential return on investment, and monitor progress throughout implementation. Advanced analytic techniques are also needed to inform risk stratification strategies that accurately target populations of youth with the greatest health needs. Gathering data from a wide variety of sources, including state agencies and providers, and doing so in a universal, standardized way is critical to effectively quantifying tiers of risk and ensuring the most vulnerable children are prioritized. Second, creating an innovative alternative payment model for children’s services that blends or braids funding across services is central to lowering costs and improving quality. The current patchwork of services for children—from medical and mental health services to schools and juvenile justice institutions—is not only inefficient, but burdensome to parents and guardians. InCK funding requires participating states to stand up alternative payment models to coordinate services; integrate funding and payment mechanisms; simplify the system for families, caregivers, and administrators; and eliminate redundant activities and costs. Virginia’s Children’s Services Act provides an example of how states can blend federal funding streams to serve children’s diverse needs. And finally, any effort should involve an environmental scan of existing resources, an effective facilitation process and framework for integrating and coordinating services, and adoption of health IT to ensure the smooth and secure sharing of patient data. Overcoming inefficiencies created by disjointed care and fragmented payment systems is particularly relevant to addressing adolescent opioid and other substance use disorders, another of the InCK’s primary objectives. Behavioral health services are scattered throughout communities, from social service agencies, maternal and child health services, community health centers, and schools and other community facilities. This is just a glimpse of some of the innovative approaches that are needed. When their development and implementation are informed by evidence and practice in partnership with states and other stakeholders, the resulting solution has the potential to not only improve the health system, but the future of millions of children. We at Altarum applaud the CMS’ support of health systems integration. State implementation will no doubt be complicated, and our health innovation experts are eager to help. Our financial modeling services, supported by expert health economists, support alternative payment model development and implementation, and cost-saving return-on-investment (ROI) calculation. Furthermore, our work in communities like Lorain County, Ohio, provides an example of how community-level collaboration across sectors and services can help identify inefficiencies and opportunities to improve care. To discuss how Altarum can partner with your organization to transform children’s health care in your state, contact Greg Matthews, deputy director of Altarum’s Center for Value in Health Care, at greg.matthews@altarum.org. Altarum is a nonprofit organization that creates and implements solutions to advance health among vulnerable and publicly insured populations. As an expert in statistical science and data analytics, Greg works with public insurers and health systems to achieve better outcomes. He is the lead for PROMETHEUS Analytics®, Altarum’s proprietary software platform that yields insights from claims data. Greg holds a master’s degree in sociology from the University of Washington. Carley leads Altarum's SmileConnect® program, an integrated care model that increases access of low-income children to oral health care through continuing medical education and technology that facilitates referrals and coordinates community dental health resources. Carley holds a master’s degree in health education and a bachelor’s degree in biology from the University of Michigan.